Although 54% of households have experienced water damage in their drinking water system at least once, the population has a relatively low level of awareness. At the same time, in particular, the financial consequences may be similar to those of fire damage or burglary loss. Nowadays, alarm systems and fire alarms are standard in most homes, but water security systems are not yet part of a large number of households. GROHE, the world's leading manufacturer of sanitary fittings, has developed with GROHE Sense and GROHE Sense Guard two product solutions that should not be missing in any property. The intelligent GROHE Sense system monitors moisture, detects water leaks, warns residents immediately and automatically cuts off the water supply. Now, with an exclusive programme consisting of attractive offers and comprehensive online training, the global brand offers installers the opportunity to train to become water security experts and open up further sales opportunities. In order to make GROHE Sense and GROHE Sense Guard more tangible for installers and therefore profitable, GROHE has developed a comprehensive range across its preventative smart home solutions: GROHE is offering an attractive starter set consisting of a water security kit in a practical case. Thus, in the event of a water damage incident, the installer has immediate access to the products which can, for example, be stored in the car, and can directly install them at the customer’s home. If questions arise during installation or wireless connection while being at the work site, a specific GROHE support hotline offers help. The brand also supports thematic-and product-oriented training. The installation of GROHE Sense and GROHE Sense Guard is explained in detail with videos and instructions. 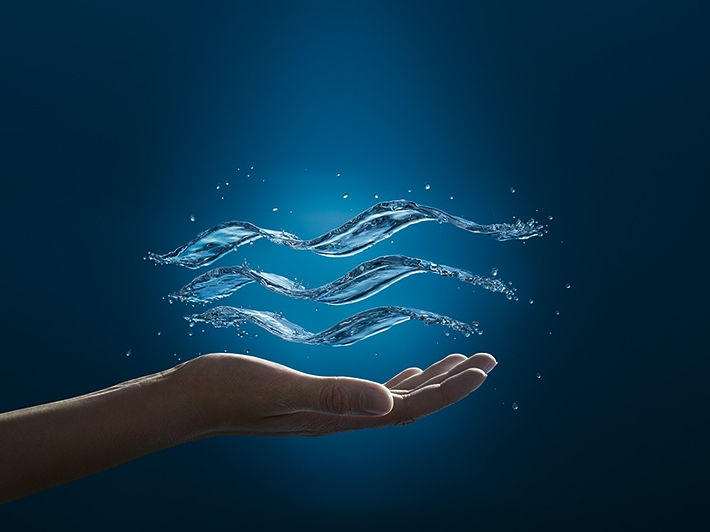 In addition, for later discussions with customers, a wide range of consulting services can be established by using further articles on water security systems. Many helpful facts about the prevention of water damage provide expertise and build trust on the part of the customer. The online training is available to all installers free of charge at training.grohe.com. Additionally, brochures with information for the installer and also for the customer are available. Installers participating in the starter programme will be registered as water security experts at the GROHE platform find-installer.grohe.com.Once consumers search for qualified personnel on this website, ones within their region will be displayed. GROHE's intelligent water security system consists of two products that prevent one drop from becoming a flood. GROHE Sense is a reliable water sensor: Simply placed on the floor, it can detect water build-ups thanks to sensors on its bottom side. As soon as they come into contact with water because of, for example, a leak or water damage, GROHE Sense not only sends out warning signals but also alerts homeowners via its app. The sensor also measures the room temperature to protect against the risk of frost and humidity to prevent mould. Professionally attached to the main water line of a home, GROHE Sense Guard acts as a smart control unit. It measures the system temperature to indicate a risk of frost or detects leaks and stops the water supply automatically. Regular micro leakage tests, which are performed once every 24 hours, also detect droplet leaks in the cold-water line. The innovative GROHE Sense water security system is based on industry-standard Wi-Fi technology and is controlled via the GROHE ONDUS app. This app is the centrepiece. It offers the highest level of security and ensures that GROHE Sense and GROHE Sense Guard can be monitored and controlled anywhere and at any time. Interested companies that would like further information about participating in the starter programme can reach out to their respective local GROHE partners.